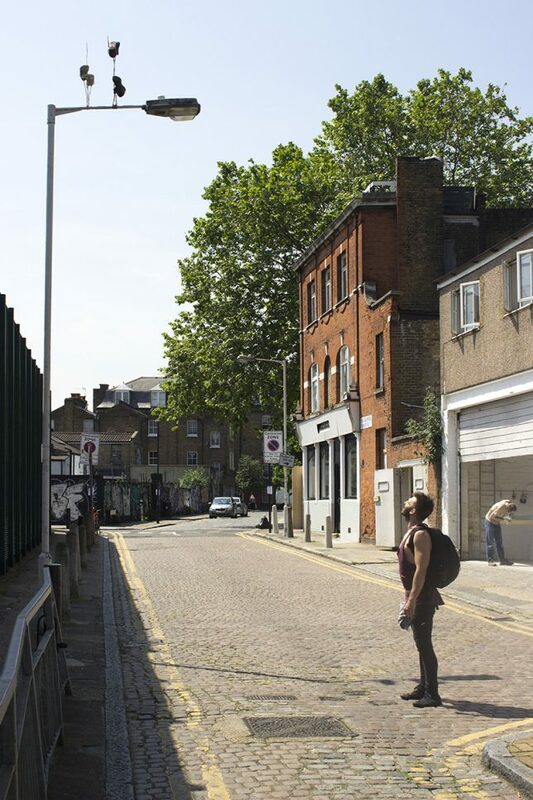 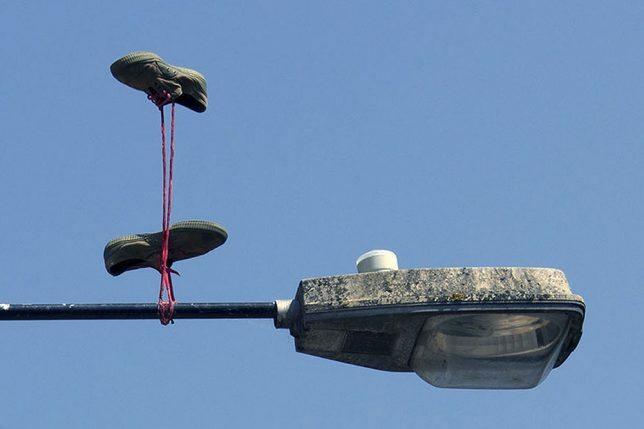 Whatever the reason, London street artist Pejac (images by Gary Van Handley) has taken the shoe-on-a-wire concept to the next level, with individual and paired shoes seeming to hang upside-down, pulled inexplicably toward the sky. 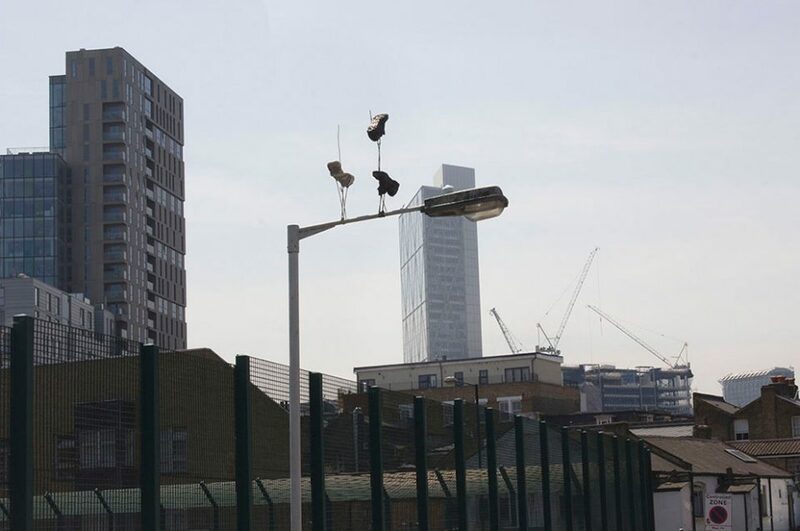 Presumably to minimize annoyance to the city (and possible damage to critical lines), the artist in this case opted to use poles rather than wires for support. 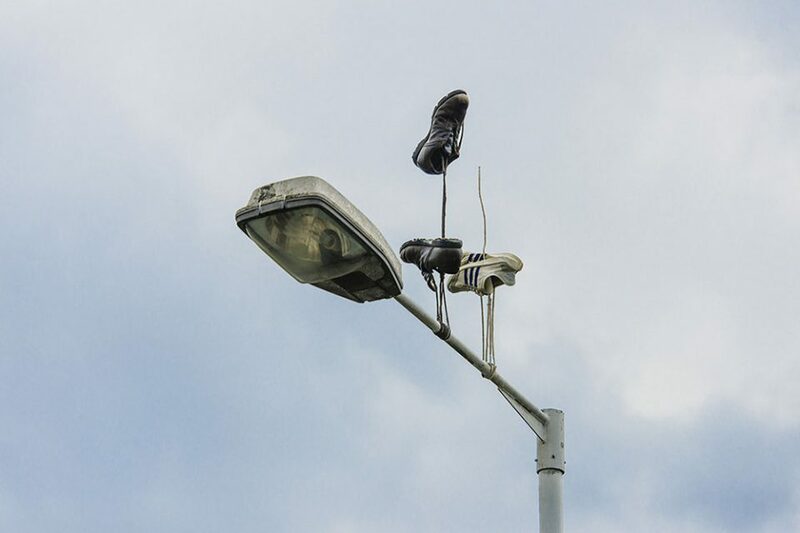 Titled Downside Up, this series of shoe art installations across East London are in part a series of street artworks but also a viral marketing campaign for an upcoming solo exhibit. 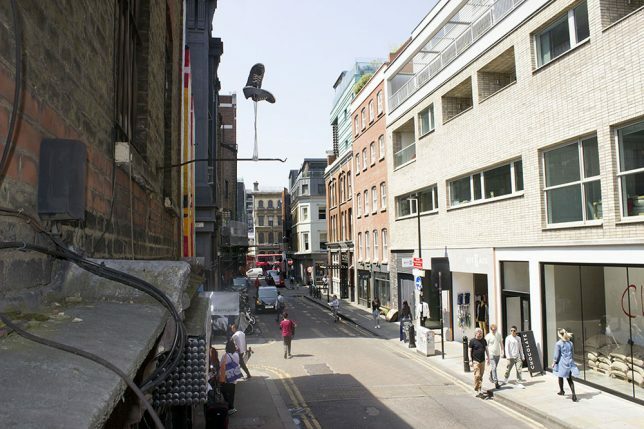 Pejac is well known for both silly and thought-provoking interventions, often manipulating built environments in subtle ways by pealing paint or through small installations easily missed by less observant passersby.